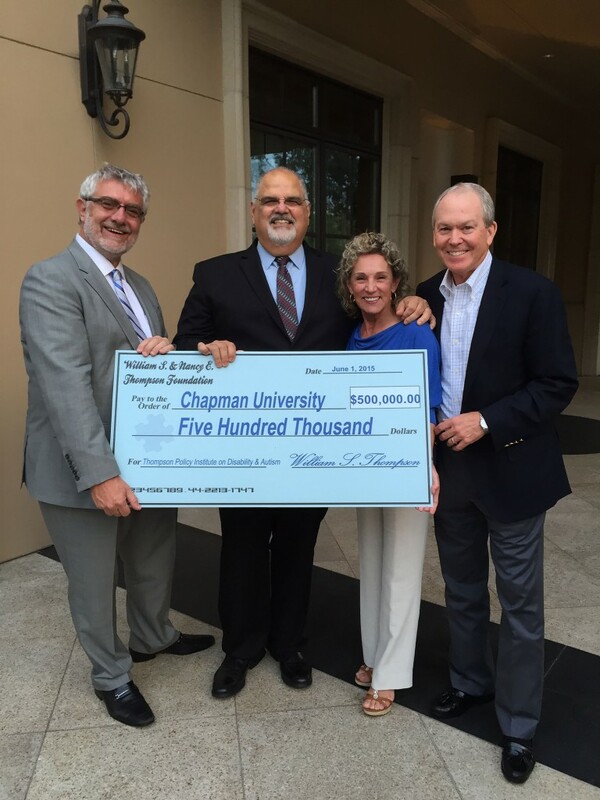 Chapman University has received a $3 million gift from the William S. and Nancy E. Thompson Foundation to establish the Thompson Policy Institute (TPI) on Disability and Autism, a new think tank that will gather data and develop its own independent research to study and advocate on topics surrounding the issues of disability and autism. The institute’s goals will be to educate policymakers and decision-makers on these topics, and improving the lives of children and adults with disabilities and their families. Dr. Cardinal said that the TPI’s stakeholders at first will be decision-makers who can influence the lives of people with disabilities in Orange County and California: government legislators, school officials and teachers, direct service agencies and professional organizations, as well as people with disabilities and their families. “Our goal is to expand from local and regional to national influence over the next few years as we continue to disseminate clear, unbiased information and, when the data are overwhelming in one direction, to advocate for that policy change,” he said. The Thompson Policy Institute will be headquartered in Reeves Hall on the Chapman University campus in Orange, with an initial staff of four, along with several select expert consultants. The Institute will begin its work immediately, Dr. Cardinal said.